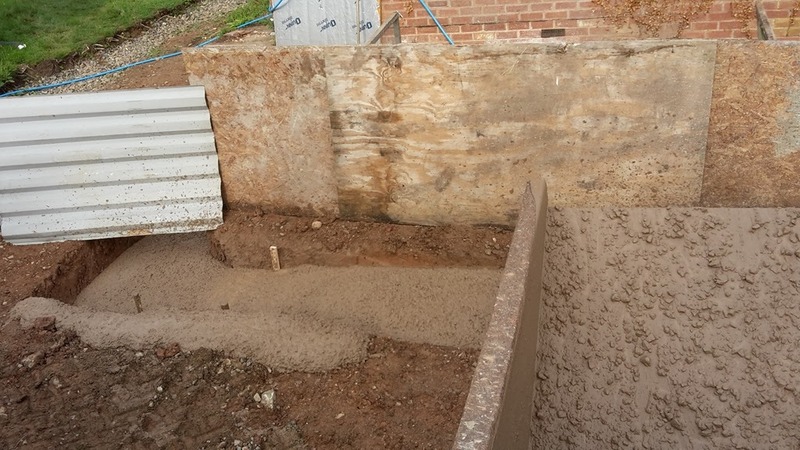 An English Homestead: Extension Progress - Footings Poured! 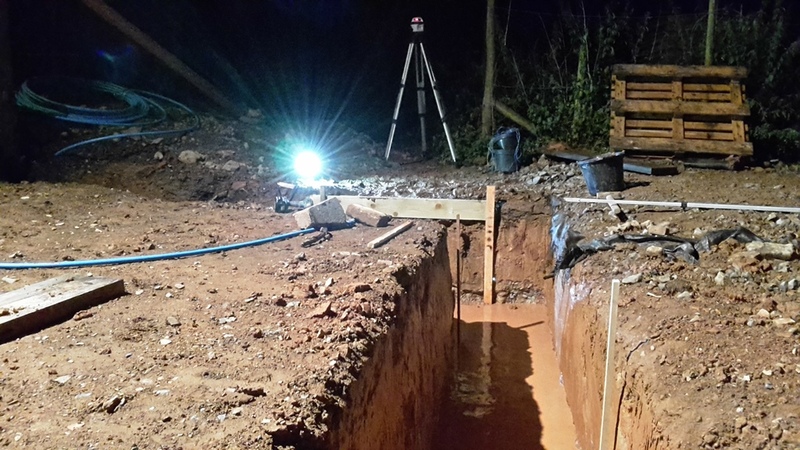 Tuesday night it was 10 o'clock and I was stood in about 8 inches of water, with a flood light and a laser level trying to get pegs ready for the concrete that was booked for 8 in the morning. I didn't go to sleep feeling very happy about how prepared I was. I woke early the next morning and had breakfast, I was outside just after six and there was my dad in the trench, already working, bucketing out the water. He was coming to help but I had no idea he'd be there that early, I was lucky that he did, as between us we got set up just in time before the concrete came. Both lorries turned up at once, just to add the pressure! Both lorries turned up at once though, just to add a bit of pressure. We had two dumpers moving it and between us we kept up well. 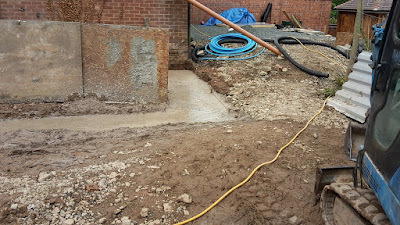 9 cubic meters of concrete, the footings took about 7.5 and the rest went to be used for a step on the patio (more of that in another post) or a slab outside my workshop. 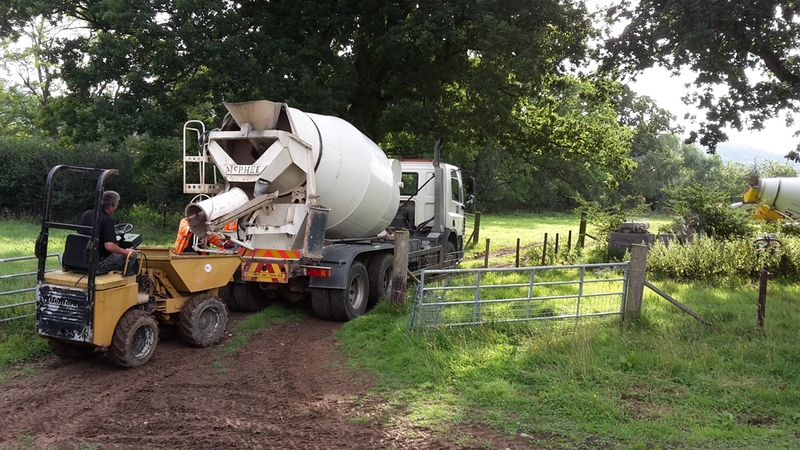 Poured in with the dumper, this made the job easier. We placed boards where we were tipping to prevent the splashing and had a the vibrating poker to make levelling the concrete easier, although we still had to use rakes and shovels as well! The other side showing the step as well. It was a hard and long morning but we got it done and I feel so much better now it's all concreted. I couldn't have got this far without the help of my dad, he has been an absolute legend in helping me (and pushing me late at night to do more). I sometimes look at him when he's working alongside me and wonder how he can still work so hard now he's 60, he's a machine and someone I always aspire to be more like. Having his skills and knowledge alongside my own in a project like this is amazing. Now I've got to wait a couple of weeks for my bricklayer before we can start building up higher! well done on getting this stage done, I remember doing the same bucketing out water from the footings trench for the inspector coming and then again for the concrete did it by the skin of our teeth. This was close but now it feels like we can make a good go of it from here on in. it'll be up in no time, don't worry! Lucky you still have your Father around, mine isn't. Mind you he'd be over 100yrsold now if he was! He's been great with helping em get this far, he's a top man on a digger. I think I'll be lost without him. You've got a great dad. Hope you treat him to the finest dinner ever! He had egg sandwiches if that counts! I find you are always waiting for builder's to come back. Especially if you pay them in full. Could you not learn some brick laying skills Kev? 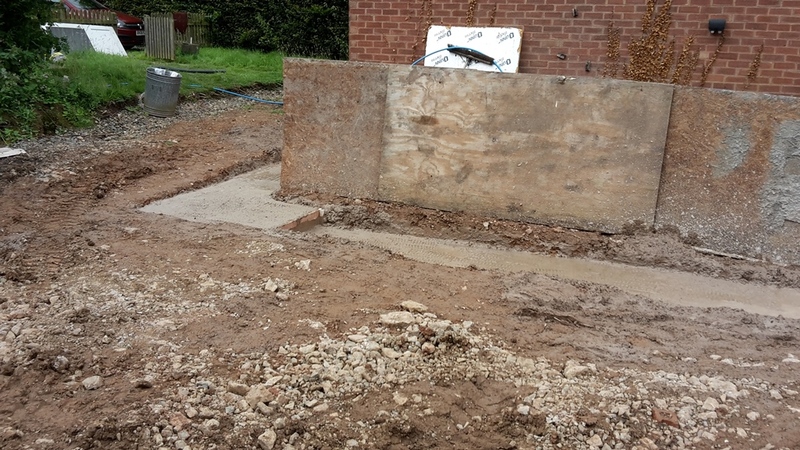 If you can get footings level what's difficult about laying some bricks? Go for it! I can lay bricks but I'm very fussy so they need to be laid to a high standard if I'm going to be looking at them for the next 30 years! I earn the same as a brick layer but they can work much faster than me so I'm better off paying to have bricks laid whilst I do carpentry fro someone else. Great job. Its lovely to hear how much you appreciate your father. I'm sure he's very proud of you as you are of him. He's been a great help, We've seem to have really crossed a milestone now with the project. Can your Dad adopt me please? He's awesome! 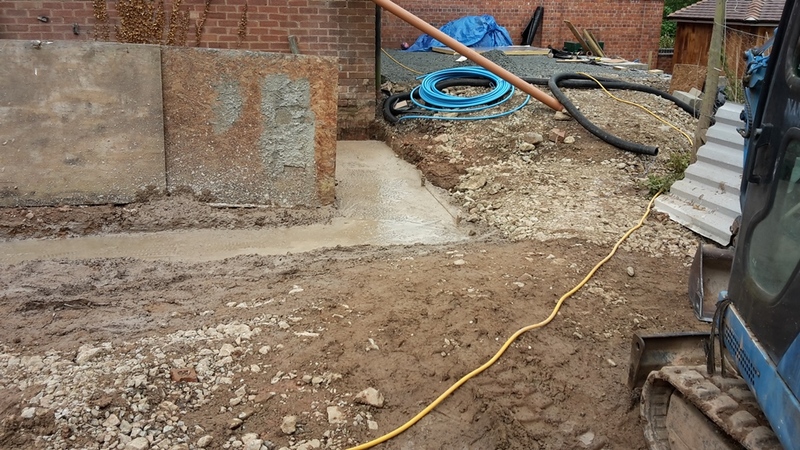 Good work both of you, I love it when footings are poured, it's like starting the first chapter of a book after you've read the prequel! Now you can really get started on the fun stuff! I think he would think having three of us was enough sorry! Not sure I call the rest of the stuff fun though! Sounds like my dad, he always says rest is for the weak! Having such a good relationship with your dad is a very special thing. I'm happy for both of you. That's how I think about a lot of this infrastructure work, if I do it right then I only have to do it once.